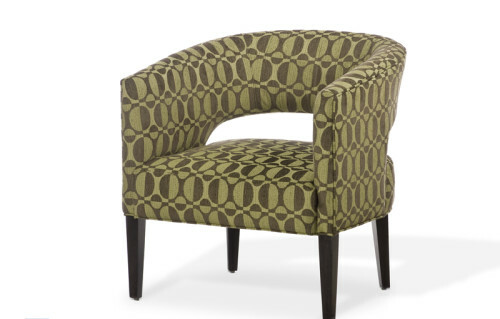 The Luna is a nice open crescent shaped accent chair, that looks great from any angle. Smaller in scale this chair is the perfect size for an apartment or tight space. Available in an assortment of fabrics, leathers, and 3 wood finishes.